Accounting for the complete set of deeds and political responses to the migration situation in Europe since the beginning of the critical year of 2015 is definitely a challenging task. However, on May 4th, a varied panel of experts and a broad public audience who gathered together in a building in the Emilia-Romagna Region in Bologna (Italy) succeeded in completing this task. The conference “The EU Agenda on migration: a year after”, organized by the Emilia-Romagna Region and the organization “Asilo in Europa” (Asylum in Europe), aimed at reviewing the results of the very complex past eighteen months from the perspective of asylum and migration on the European continent. Federica Toso from the organization Asilo in Europa opened the meeting with a broad but detailed overview of the evolution of the dialectic between events and political decisions that have taken place in the EU since April 2015. In fact, following the dramatic drowning of about 800 migrants in the Mediterranean Sea in mid-April ’15, the European Commission released an Agenda on Migration that was applied in part during the year but mostly disregarded. The preliminary issue tackled by Mrs. Toso focused on whether we should talk about one single European Agenda on migration or rather several agendas crafted during the rest of 2015 and the first semester of 2016, tailored each time to the new and unexpected evolutions of the migration situation. According to the researcher, the second option would better describe the current reality, which looks more like a juxtaposition of different agendas rather than one single political address. 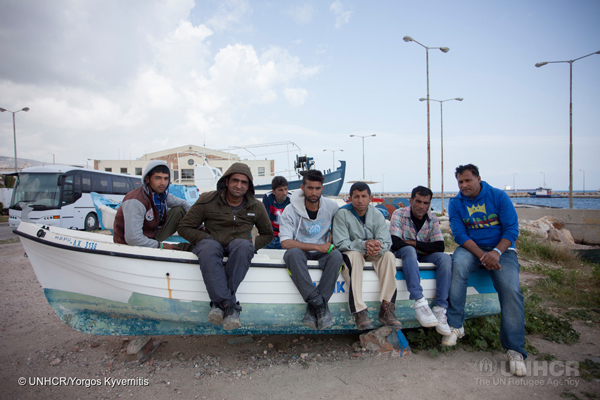 It is in fact undeniable that the recent measures envisioned by the EU Member States to stem the flow of refugees leaving the Turkish coasts to reach Greece differ quite substantially from the directives initially set out in the Agenda issued on May 13th 2015. However, the existence of several agendas could also be read as the result of very varied national responses to the “crisis” which have urged the EU Institutions to respond each time in a particular, but at the same time coherent, way. The panelists that followed dealt with different but complementary topics concerning the so-called “migration crisis” (a terminology which is often rejected by those who work in the field). Nazzarena Zorzella from the Italian Association for Legal Studies on Migration (ASGI) stressed the importance of keeping in mind the origins and the causes of the strengthening of the migration phenomenon over the last years, later showing the situation inside the Italian hotspots. Riccardo Clerici from the UNHCR offered an account of the UNHCR’s perspective on the so-called “migration crisis, underlining that the national political responses to the crisis represent very significant variables in the current management of the crisis”. Later on, Bernardo Venturi from the Institute of Italian Affairs (IAI) branched beyond the European borders, dealing with the influences of other international players (such as China or the Arab Emirates) on the migrants’ countries of origin. During the afternoon session, the remaining panelists dealt more closely with the situation of certain Member States or with specific actions implemented at the European or national level. Martina Tazzioli from the University Aix–Marseille (France) told the audience about the conditions of the Lesbos hotspot, and more generally, the way the mass arrivals of migrants are being handled on the Greek island. She then handed the floor to Andrea Rossini from the Balkan and Caucasus Observatory, who analysed the flows of migrants on the so-called Balkan routes beginning from the first months of 2015 up until the period that followed the signing of the EU-Turkey agreement. Nora Brezger from Fluchtlingsrat Berlin provided an overview of the current German asylum system, taking into account both the political and the reception situations. She focussed on the institutional responses provided by the German government and the local authorities to tackle the great arrivals of asylum seekers during 2015, closing her speech with an interesting analysis of the racist approach and actions that are spreading all over Germany. Jumping from Germany to Sweden, Lorenzo Vianelli from the Warwick University (UK) shared with the public the outcomes of his research on the Swedish system of asylum seekers reception, examining the way this well-functioning structure is in fact starting to shake under the weight of gigantic numbers of asylum seekers and how it will probably change a lot during the next few years. Finally, Suzana Abrahmsson from the University of Bologna and Linkoping (Sweden) shared her personal story with the audience. As the daughter of two Iraqi refugees in Sweden, she experienced what it really means to be a refugee in Europe and how hard it is to get back one’s normal strength and optimism when everyone around you “wants” you to be a victim. Among those of the public who attended were many asylum and migration experts from the fields of asylum seekers reception, university research, asylum law and social work who actively took part in the meeting, offering interesting insights drawn from their work and spurring a constructive debate on migration and asylum.